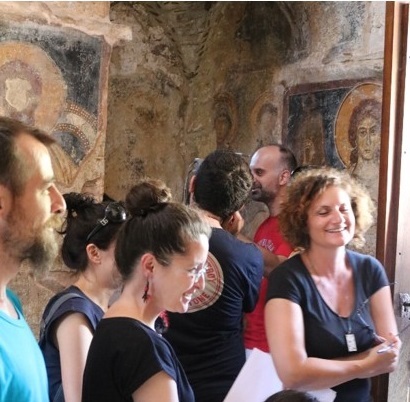 The OPTO-CH 2019 summer school will take place on June 03-07, 2019 at Heraklion, Crete, Greece and will be dedicated to the content of the National KRIPIS II project POLITEIA II (Advanced analytical, diagnostic, surveying and documentation technologies in Cultural Heritage, MIS 5002478). The aim of the OPTO-CH series of training activities, established by IESL-FORTH in 2014, is to introduce participants to applications of advanced laser-based technologies in Cultural Heritage (CH) science, diagnostics and conservation and combine lectures from experts on modern laser diagnostic, analytical techniques and laser cleaning methodologies with practical demonstrations and laboratory hands-on sessions. The courses conclude with one day of field experiments on-site at selected monuments in Crete.